Your weekend in Stockholm begins on a Friday night - take a half day or fly in straight after work with the airport having direct flights throughout Europe and beyond. 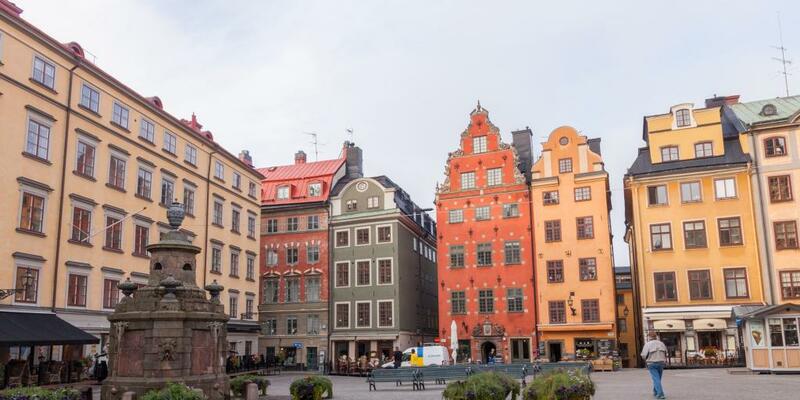 With plenty of things to do over the weekend, a good start to your trip is a stroll through Gamla Stan, Stockholm's Old Town. A short stroll from most hotels located in the city, Gamla Stan is one of the best preserved medieval cities in Europe and is commonly known as the land between the bridges. You will definitely see what this means when you arrive! If you're not up for the evening walk, Stockholm is very taxi-friendly - worldwide mobile app options are available and local taxis are easy to hail. 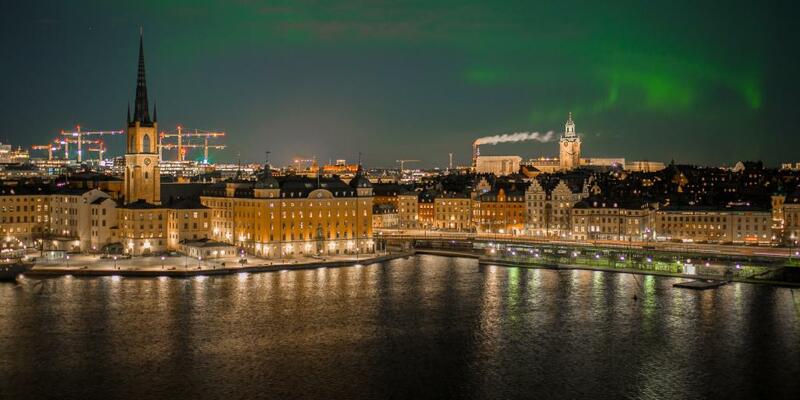 Check in, drop your bags off in your room and head out to see Stockholm all lit up in the evening. Dinner options in Gamla Stan are plentiful and the quality is second to none. Foodies visit Stockholm to sample local dishes focusing on hearty meat and fish options as well as gaining access to fantastic Asian and international cuisine and fusion restaurants. Finding a restaurant in Stockholm is easy - almost everything you want is in the same Gamla Stan area. The cobbled paths and lit up streets provide an array of choice in restaurants, pubs, and friendly people. Along with the classic Nordic architecture, Stockholm avoided the destruction that took place in many European cities during the 20th century making for a uniquely preserved look and feel. Buildings in the Old Town are picture perfect and the unique look is maintained stringently by the bright coloured paint. Luckily visiting Stockholm won't hurt your feet as the city is quite small and incredibly easy to navigate. 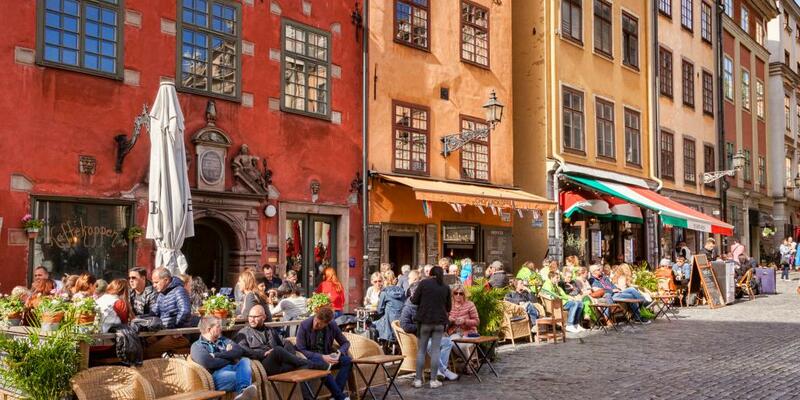 Gamla Stan has two main streets - absolutely perfect for a weekend trip. Better still, the town in the evening has a really different feel to daytime Stockholm as you will see over the next two days. Start the weekend proper with a traditional Swedish breakfast in the Gamla Stan. Beware that the pretty colourful buildings you have to walk past on your way to the cafe will mean you have to stop and take photos every other step. To get a real taste of Stockholm, look out for smörgås (open sandwiches of breads, cheeses and meats), savoury and sweet crepes, or little hidden gems which offer choices of acai bowls and vegan friendly energy balls (such as Sara's Art & Coffee) - Stockholm is young and trendy so you're never too far from home comforts. Having dispatched breakfast, it's time to visit the Royal Palace. 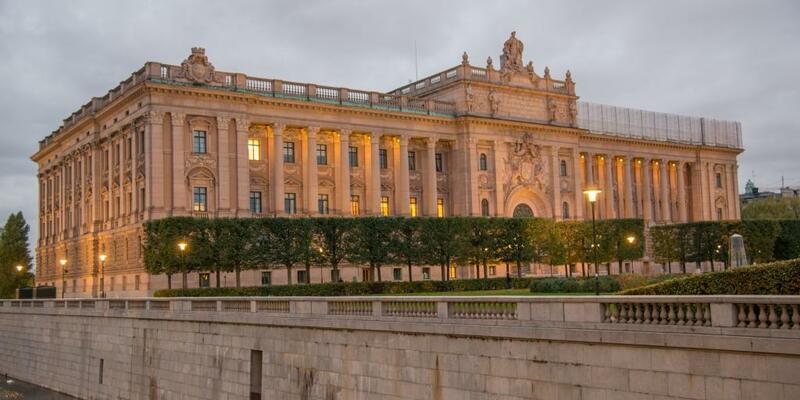 It is easy to visit Stockholm and spend the entire weekend stuck in this building - one reasonably priced ticket (just 160 SEK) gives you access to the entire building with 5 separate museums inside. The huge palace also includes the Royal residence and the Royal Family's offical offices - these are not accessible to the public. The location of the pastel-coloured palace on the river is a gateway to the old city from the north and prominently overlooks two bridges onto the island. Once you're done exploring the Palace, take a 30 minute stroll to the Vasamuseet along the harbour. You will not be disappointed in having to walk with sights including grand buildings, yachts, and plenty of bars dotted along the water - be sure to take a pit stop or two to sit down and get a local Swedish beer and some grub from the Strand Bistro and take in the beautiful surroundings and calm way of life that Sweden is so well known for. The Vasamuseet is once again reasonably priced costing just 130 Swedish Krona for adults and free for children up to 18. If you have a valid student card, you can get in a little cheaper. The museum is open from 10am in the mornings and closes at different times in the evenings depending on the day. You want to be sure you visit this museum late morning/midday as there is a park you enter on your way in which is full of gorgeous flowers and birds in the spring and summer months. 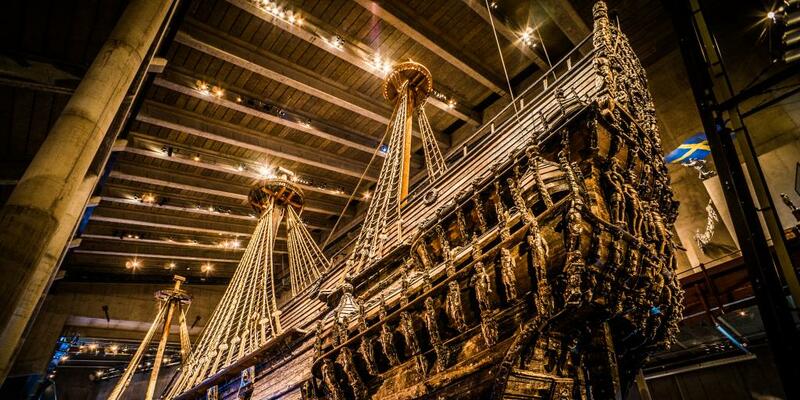 The Vasamuseet is a maritime museum with a majestic old Vasa ship. First built in early in the 17th century, the ship sank on her maiden voyage and was found some 333 years later. Inside the museum you will find scaled models to show you what the inside of the ship looked like, and the museum includes preserved bones of those found on the ship. Materials such as chalk which was used as paints and belongings found with the ship are also displayed, making this museum interactive and child-friendly. On your walk back, you'll probably be thinking of ways to make the most of your Saturday night. Head back to the hotel, dress up a little, and let us plan your night. First, head to Vasastan, a district in Stockholm full of bars and restaurants. Grab a few pre-dinner cocktails at Erlands, where you'll be met with live music, antique interior and a cosy feel. If you're looking for traditional Swedish food with a classic and Vasastan vibe, head to the place where generations meet, Tennstopet. It's popular among locals and holidaymakers for its wild boar, ever changing menu of Swedish dishes, and old fashioned decor. If you're looking for something a bit more unique and somewhat modern then Restaurant Kokyo is the place. A little traditional family run Japanese restaurant which will blow your mind - modern and old interior complementing one another beautifully. This place is popular among young locals and tourists as it provides a vegan menu (4 types of homemade tofu which are produced on-sight) alongside its meat and fish dishes. Your experience here is one that will make your visit to Stockholm a winner. After dinner you should either stay in Vasastan and discover more bars such as Tiki Room or head back to Gamla Stan - the latter being the heart of Stockholm. Gamla Stan has an Irish bar, The Liffey, a pub that locals love to hang due to its Irish live music by a solo guitarist/singer with some incredible British Classics - enjoy many a Swedish pint and sing the night away. Locals and tourists alike are brought together through music and dance. It's the last place you would think to have a truly unique Swedish experience! It's your last day and this is the opportunity to enjoy that iconic Swedish tradition of fika: a relaxing coffee and cake break. Coffee culture is incredibly important here (we've even included Stockholm on our list of top 21 coffee cities in the world!) and the Swedes don't joke around when it comes to coffee. 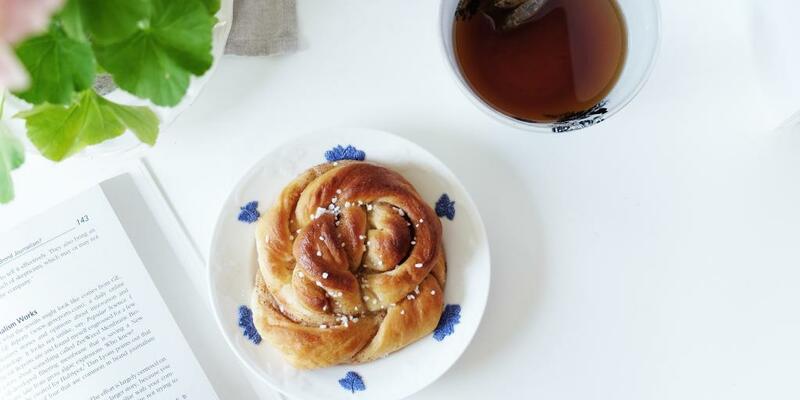 To get the authentic experience, order a Swedish Cinnamon bun (kanelbulle) and enjoy the views of Stortorget. Brod & Salt is a great option for pastries and coffee, and there 2 are located in the old town. Once you're fully caffeinated, make your way to Stortorget, a city square in Gamla Stan where the famous tall colourful buildings are. For many, this square is the ultimate highlight of a trip to Stockholm. It's the oldest square in the city, and you'll probably recognise it from photographs. It's full of traditional Swedish bars, cute coffee shops and little boutiques, and the perfect spot from which to take in the views. This is the site where, in 1520, the Stockholm Bloodbath took place - the public killings of 90 people by beheading or hanging, ordered by the then Danish-Swedish King. The stark contrast between the square's dark history and today's lively feel can only mean one thing: you're going to have to order that second coffee or extend breakfast into brunch. If you've decided brunch is the right direction, you're going to want to go somewhere unique. Cykelcafé Le Mond in Södermalm is the perfect end to your weekend trip. Here you'll find traditional Swedish breakfasts (a spread of cured meats, breads, and jams) as well as classic brunch dishes like smashed avocado on rye and pancakes. What makes this place unique is its love of bikes; it's a favourite cafe among cyclists and decorated with cool cycling gear. A cosy atmosphere and a reputation of many claiming the food is worth the little extra you pay in comparison to other cafes, Le Mond will have you ready for your next and final stop of your weekend getaway. After eating untold amounts of carbs, there's no excuse to not absorb some more of Stockholm's history. Your final sightseeing stop is Medeltidsmuseet, the Museum of Medieval Stockholm, which is both interactive and interesting. 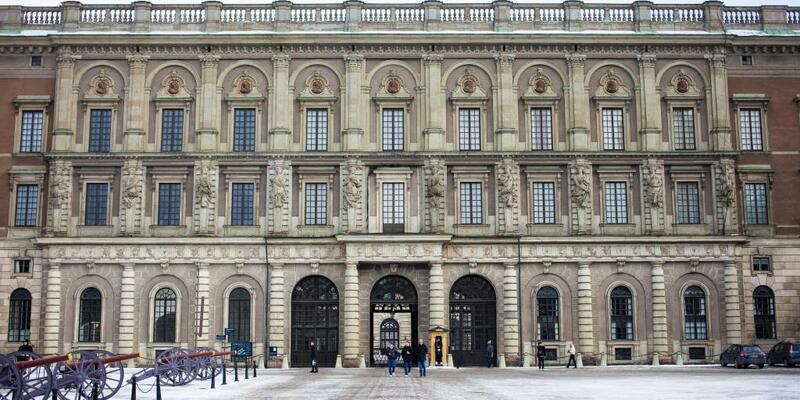 The museum is located just north of Gamla Stan, not far from where you just ate brunch. The museum is free, which is handy as you've probably spent a bit too much (it is Sweden, after all). The Medeltidmuseet is a hugely popular sight, built around findings from the largest excavation in Stockholm that took place in the 1970s. By exploring and spending quality time in the Medeltidmuseet, you really get a feel of what Medieval Stockholm was like from the period of 1250 to 1520, just as if you had gone back in time. Walk around the recreated townships, explore the castle walls and observe the human skulls on display. The museum also sometimes hosts walks through Gamla Stan with a detailed tour through the medieval town, so make sure to check the museum website beforehand if you're interested. And so concludes your perfect 2 days in Stockholm! Head back to your hotel, pack up your stuff and grab another coffee and cinnamon bun before you go. If there are more sights you wish you'd explored, there's always next time.